We begin April at the Foundation with the wind beneath our sails as we start a new fiscal year. We recently received the positive news that the Foundation was awarded a $56,000 increase in the approved New York state budget. I especially want to thank Governor Cuomo and his office for his support of the grape and wine industry. Governor Cuomo has consistently supported the priorities of our industry, which has contributed to our ongoing growth and success. I want to also recognize Assembly Agriculture Chair Donna Lupardo, who spearheaded efforts to work with the Senate to safeguard agricultural funding. We also appreciate Senate Agriculture Chair Jen Metzger and Rural Resources Commission Chair, Senator Rachel May, for their efforts to highlight the importance of farming in their conference. We value the support from Governor Cuomo and our State Legislators because it allows the Foundation to provide critical marketing and research support to our industry. In addition to the budget news, we concluded the latest program year of NY Drinks NY with our annual Grand Tasting in New York City. 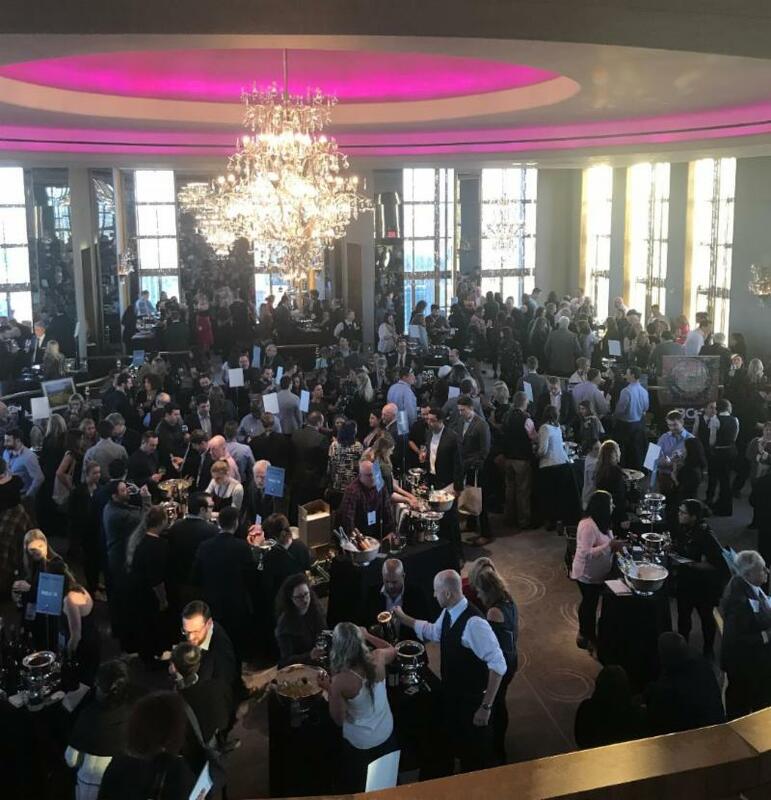 This year we hosted the Grand Tasting at the iconic Rainbow Room at the top of Rockefeller Center. 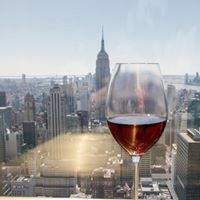 We celebrated the best of New York wines paired picture perfectly with the stunning skyline views of New York. Almost 50 New York State wineries poured over 200 wines from around the state. Special recognition goes to Jenn Cooper, Special Projects Manager, and Paul Brady, New York Wines Brand Ambassador, from the NYGWF who planned and executed a flawless event. Our view from the Rainbow Room. Cheers! And, kudos to Dan Mitchell from Fox Run Vineyards who connected us last summer with Amy Devahastin, Rainbow Room Sommelier. Amy’s by-the-glass menu at Bar 65 is 100% New York Wines. It was a pleasure to work with Amy and the Rainbow Room events team to celebrate New York wines. We had almost 400 trade and media attend and 250 consumers, and the Rainbow Room team made the event run seamlessly. The air was buzzing with excitement, energy, and appreciation of New York wines! ICYMI: View the excitement in this news interview! 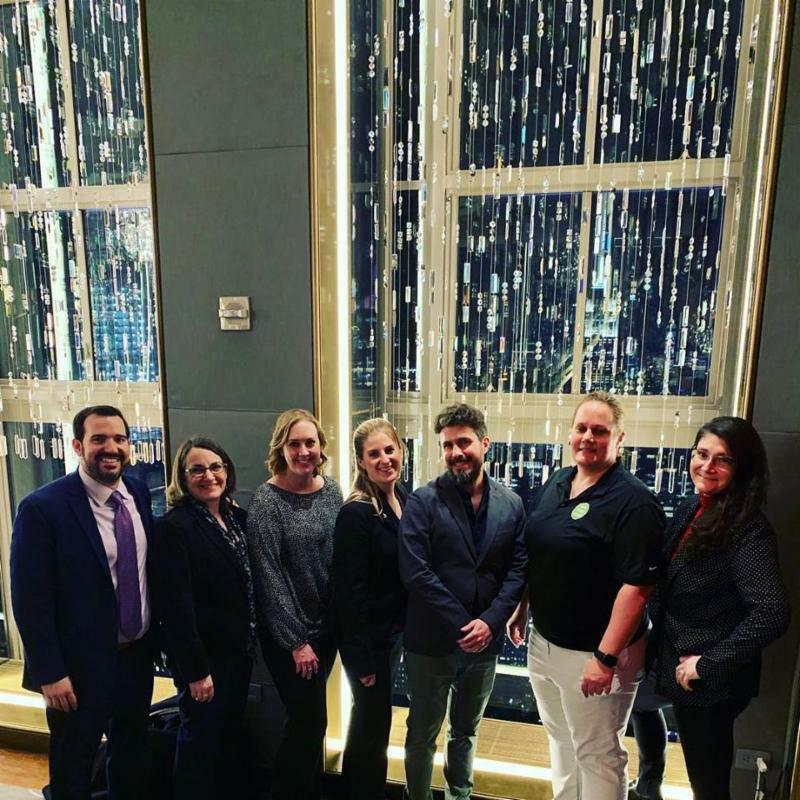 The New York Wine & Grape Foundation Team at our NY Drinks NY Grand Tasting (l-r): Sam Filler, Dana Alexander, Kim Hughes, Julie Purpura Hosbach, Paul Brady, Jennifer Cooper and Valerie Ross. April is going to be a busy month at the Foundation so stay tuned for more exciting updates. In the meantime, I encourage you to check out my recent interview with Erica Paolicelli on herpodcast Tenacious We.